Need some cool new music for the week-end?? I know I always do! Here's a few cool tracks I've come across in the last few days. 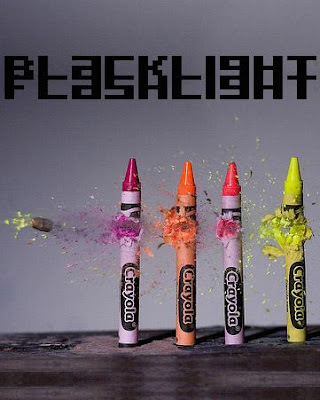 First off we have Blacklight Flashlight from the music capital of Ohio! Ha...I'm such a kidder. For all I know they may have an amazing music scene over there, although I must admit I probably couldn't point out Ohio on a map. Is that bad? This instrumental track I got from them 'Dreaming In' is a great piece of synth pop dreaminess. Sure to set your feets a-blazing and your minds a-wandering. 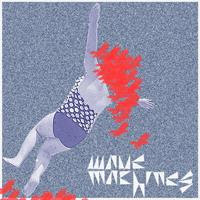 Next up is Wave Machines from the UK. Love that name! Just the name alone makes me think I'm gonna like it and lo & behold I do! Genious idea, cool name for a band is probably a good idea. Take note up coming artists/bands. You'd be surprised how many crappy band names there are out there. This track from Wave Machines 'Keep the Light On' is a nice mid-tempo electronic pop track that kinda reminds me of Hot Chip. Love the singer's vocal fluctuations from subdued to Prince like falsetto's in a flash. Finally Fredrik Liiv from Stockholm, Sweden sent me this great instrumental track called 'Loveism' which I am definitely loving! Nice, dark electronic track. All the ingredients that turn on my buttons. Maybe he'll do the same for you. ** Keep sending me music people (offtheradarmiami@gmail.com), but please make sure it kinda matches what we do (Electronic/Indie Rock/Pop/Remixes) for the most part. You'd be surprised at some of the crazy stuff that gets sent to us. Sometimes even Punk or Heavy Metal. Some of it may be cool, but it's just not what we do at Off the Radar. Look around I'm sure there's tons of blogs that cater to those genres. Just not us. Gratzi! P.S. 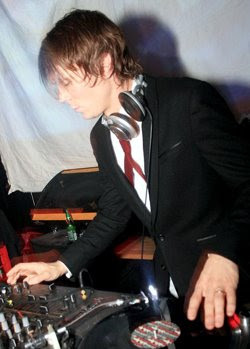 Tiga's New Album CIAO! has been leaked. Got it last night. I'll be absorbing it over the week-end.